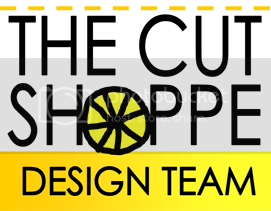 Hi everyone, I have a new layout on The Cut Shoppe blog today! 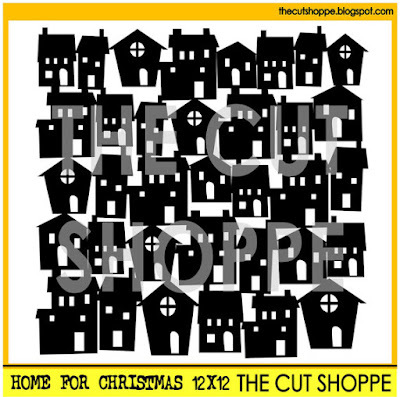 As soon as I saw the Home for Christmas cut file, I knew it was perfect for doing a layout about our new home. Even the name of the cut file is perfect for me! I took a picture of the outside of our house just for the layout, I wanted to celebrate that we are in our first home this Christmas! And since we're "home for the holidays", I used the Good Tidings cut file for my title. 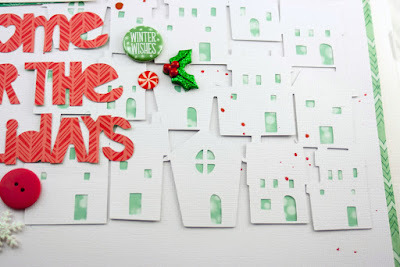 I cut out the white houses, and backed the windows with paper from Lawn Fawn. I only put adhesive on a few of the houses so they would pop up a bit and add dimension. I kept the embellishing simple to keep the focus on the houses. And no layout of mine is complete without some splatters of mist! Be sure to stop by the store and check out all the fun new holiday files! 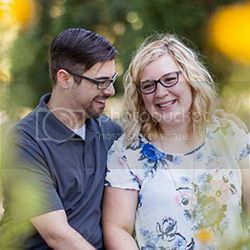 Thank you for sharing your scrapbooking pages here. I fell in love with your design and created a similar one for my self. If you would like to view it, you can see it here - http://creativelyspeakingthatis.blogspot.com/2016/01/something-old-something-new-something.html. Thank you again!